Available in bigger or smaller sizes. The ideal solution for weddings, dances, exhibits and other special events that demand an upscale look at an affordable price. 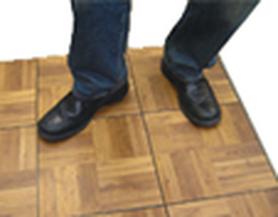 Indoor/Outdoor, on tile, rugs, wood floors, cement, decks, pavers, asphalt, etc. NOT for use on grass.